You have to intall SpaceEngine 0972 first then extract the patch files(0973) in your installed SE folder. This is my very first post here, so let me just say hi to everyone! Now, on to the point. Version 0.9.7.3 is running much worse than 0.9.7.2 on my PC for some reason. I have them both installed on the same HDD (for comparison purposes), running with the exact same graphics settings. In 0.9.7.3 I get extreme lag spikes, especially when loading procedural planets' terrain. It often crawls to an almost complete stop which becomes really frustrating after a while. 0.9.7.2 on the other hand, is the best running version of SE I've tried since discovering it and I would use it if it didn't crash near black holes in that version. 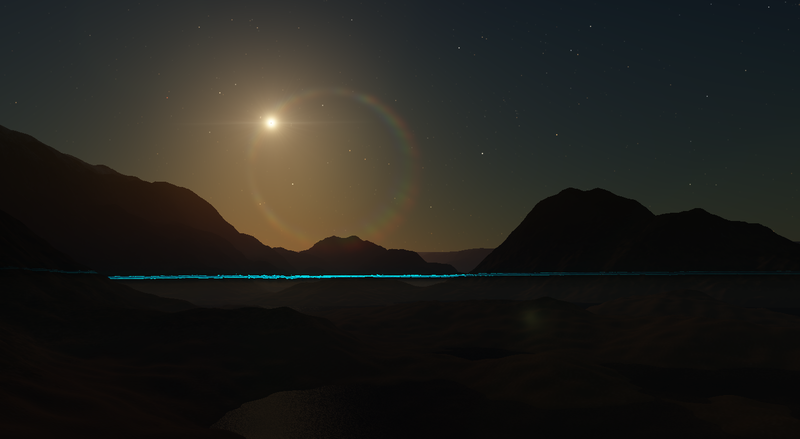 Atmosphere horizon rendering breaks down on my modified Pluto. I gave it a "terraformed" look and while my computer has always had issues with rendering atmospheres on terrain, in the sense that the atmosphere causes my terrain to become partially transparent, I went down to sea level and this glitch caused the atmosphere-to-terrain rendering to break down, causing an ugly cyan line across the entire horizon. Tfpluto.sc is a modified SolarSys.sc file so naturally SolarSys.sc will need to be commented out, should you choose to look at it. 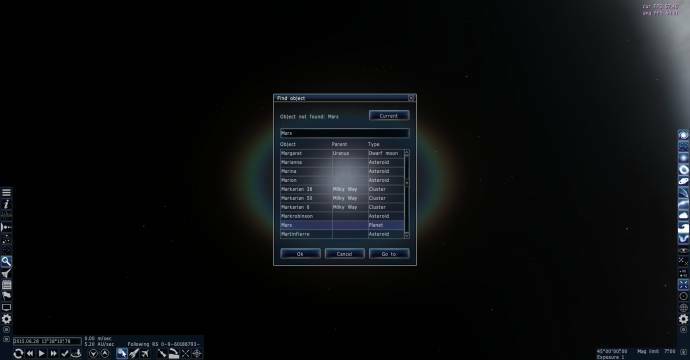 I downloaded all the addons and unzipped it at plenets folder but there's no landscape in the solar system(planets were flat). But i can see landscape very well at other solar systems. Can you tell me what's the problem? But i can see landscape very well at other solar systems. 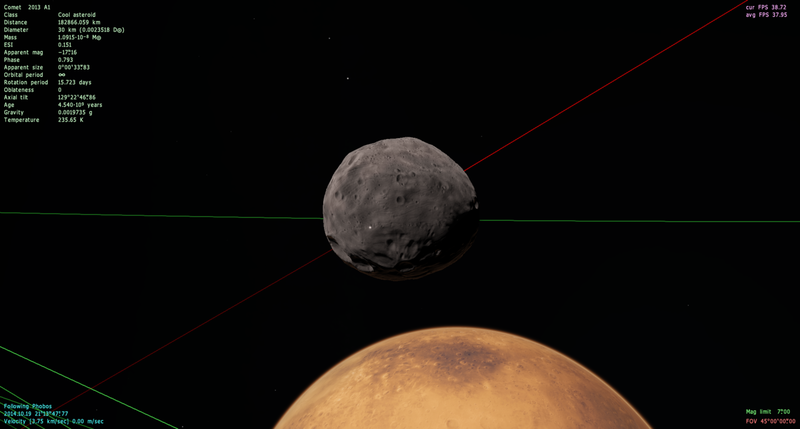 Sol system planets use real textures with limited resolution, while other systems use textures generated by the program with resolution limited only by what the engine can produce. This is clearly stated in the description for the planet texture downloads and in the FAQ, please read the description of a download before asking questions about it. I feel so stupid, but I finally found the fix for the severe lag I'd been getting since 0.9.7 came out, and I found it in the sticky post at the top of this page. People, turn off your threaded optimization. We can't turn it off if we're on Integrated Intel, IIRC. That's what I did, and as I said, it ran fine the first time, but every time I have run it since, the GUI is unusable. hi. I dont know if this is a bug. But i try to set galaxy luminosity for my procedual galaxies using AbsMagn and AppMagn I though that if you increase the numbers the birghter or more luminosity has the galaxy. But then i go to my creations and they all have diferrent numbers + for example if i set AbsMagn -16.5 AppMagn 15.5 it just shows a total diferent number. Seems i found a way out. Still the AbsMagn or AppMagn dont have the value i give them on sc. Is this because i am not looking from the sun or telescope??? PD* also for the 100 time xd if someone knows a bit of how to set the number of stars in galaxy to a desire number lets say x. And wants to tell me (i know that diferent types of galaxies have diferent amount of stars. I am just really Resultados de i am just curious for the process). sent808, AbsMagn and AppMagn are mutually exclusive. You can only use one. And the astronomical magnitude scale is inverse logarithmic; smaller numbers are brighter, not larger numbers. And no, there is no way to force a galaxy to have a specified number of stars. Okey yea i got this thanks. Took me a bit xdd also not helping when you create a 20 AppMagn and you see nothing when you press gg xD. For some reason the search function is unable to find catalog objects. I have had a similar problem with some of the default locations, though I can find most just fine. For some reason the search function is unable to find catalog objects. It's listed as having no parent. Something must be wrong with your installation. Did you properly install the 0.9.7.3 patch on top of 0.9.7.2? I don't know what I might have done wrong. The first time I messed it up somehow since some of the files were missing, so I had to uninstall and reinstall 0.9.7.2. I made a post some time ago about not being able to see my cursor and having my gui bugged, I was told to just re-download the game and try changing the gui skin. Re-downloading didn't help and I can't change the gui skin, it just doesn't let me click the option. I'm having the same issue, I've tried downloading .9.7.3 again and it ran fine the first time, but now I can't see the cursor and the menus are bugged. I also tried deleting the cache folder didn't make any difference. anyone find out how to fix this?